They have been shortlisted for music personality of the year at the Sony Radio Academy Awards, alongside Scott Mills and comedian Frank Skinner. 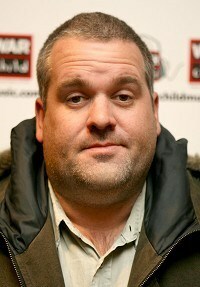 However, Radio 1 star Moyles has failed to pick up a nomination for best breakfast show. Instead, his Radio 2 rival Chris Evans, Absolute's Christian O'Connell, TalkSport's Alan Brazil, LBC's Nick Ferrari and 5 Live's breakfast duo Nicky Campbell and Shelagh Fogarty will battle it out. Presenter Mark Radcliffe has landed a double nomination for the awards - a week after his Radio 2 show was axed from the network. He is up for music broadcaster of the year, and the dropped Radio 2 show, which he hosted with Stuart Maconie, competes for best music programme. The duo begin an afternoon show on digital station 6 Music next week. A number of presenters are up for more than one award, including funnyman Skinner who is in the running for three prizes. In addition to music personality, he is up for speech personality and best entertainment programme. Radio 5 Live's Victoria Derbyshire is also up for a hat-trick of prizes - speech broadcaster, speech programme and best news show. Campbell and Fogarty and Jeremy Vine are also up for a pair of prizes. Vine's nominations include best interview when he grilled Gordon Brown just moments after he was caught on tape calling Gillian Duffy a "bigoted woman" on the campaign trail. And Moyles figures on the shortlist twice, with a nod for best entertainment programme on top of music personality. It comes just days after the motormouth presenter landed a world record for an on-air marathon with sidekick "comedy" Dave Vitty, and comes in the wake of an on-air rant last year in which he grumbled at length about not being paid.